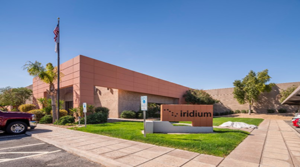 PHOENIX, Arizona – On behalf of Los Angeles-based Cohen Asset Management, Cushman & Wakefield announced the firm facilitated the sale of Iridium @ Price Road Corridor, a 69,820-square-foot building in Chandler, Arizona. Bay Capital LLC of Braintree, Massachusetts, purchased the fully leased asset for $16 million. Executive Managing Director Will Strong led the Cushman & Wakefield Capital Markets team on the sale. “Cohen Asset Management has been the single most active investor of industrial real estate in the Phoenix market. In 2014, Cohen put together an investment strategy for the acquisition of Iridium @ Price Road Corridor that included working with the tenant on a lease extension, upgrading the property, and taking advantage of improving market conditions. We were pleased to see the high level of interest in the property and that the seller was able to achieve their objectives and dispose of the building at a premium,” said Strong. The property is 100% air-conditioned, provides heavy power, and has a large fenced and secured yard. Also, the asset includes approximately three acres of vacant land to expand the project, add a building, or add additional parking. Constructed in 1986 and renovated in 2017, Iridium @ Price Road Corridor is fully leased to Iridium Communications Inc., the only mobile voice and data satellite communications network that spans the entire globe. “The property is extremely functional with excess land, frontage along Price Road, and major infrastructure upgrades. Bay Capital LLC plans to hold the asset long-term and was fantastic to work with,” added Strong.